The story of Pete Lacaba's "Prometheus Unbound", a poem in which the first letters of each line, when read downwards, spelled out a secret message for the resistance movement against the dictator. The story takes place during one of the most tumultuous periods in our national history—it is therefore a complex one, with a degree of subjectivity to its beginning and end. Today it is the stuff of literary lore—cunning trumps censure—and like many legendary accounts, it is polished now from all the reverent handling. One version of this story has us begin in 1973, a year after Proclamation 1081 was announced, placing the entire country under martial law, to the relief of citizens desperate for discipline. Crime was on the wane; peace was prime. Manila mornings were bright under Ferdinand Marcos’ Bagong Lipunan, the reverent, mannerly new order keeping at bay the country’s negative elements: hippies and pinkoes looking to make trouble, godless and lawless and just plain gross. At night, the city curled up under curfew with a justified willingness; if you were out late at night, after all, weren’t you up to no good? There was no opposition party to rock the boat, no independent judicial body to hamper the now free wheels of justice. Even the media muckrakers were in the sewers with the filth. Proper writers wrote for the government now, in proper consultancy positions, with the Army Office of Civil Relations making sure their work aligned with the Bagong Lipunan vision, from title to final full stop. Which was exactly how state-allied editors found the poem “Prometheus Unbound”. Written by one Ruben Cuevas and published by Focus Magazine, it was the myth of Prometheus picked up where Percy Bysshe Shelley left off. His avian tormentors about him, the titan finally escapes from the chains that bind him. Prometheus the populist, triumphant in the freedom previously denied him as the patron of craftsmen, the giver of fire to mortals. With a classic motif, a politically moderate subject, elaborate rhyming couplés, and iambs as martial as goose steps in the grandstand, “Prometheus Unbound” represented all that was estimable under Marcosian poetics, the literary equivalent of crew cut hair and home by 21:00. His avian tormentors about him, [Prometheus] finally escapes from the chains that bind him. Prometheus the populist, triumphant in the freedom previously denied him as the patron of craftsmen, the giver of fire to mortals. Sometime later, however, Focus staff were alerted to an alarming thing: “Prometheus Unbound” turned out to be an acrostic, in which the first letters of each line, when read downwards, spelled out a message different from that of the rest of the poem. The magazine’s editor-in-chief was summoned for a reprimand by the press secretary himself as some sources recall; the literary editor was promptly sacked. The identity of Ruben Cuevas was investigated. And men in uniform rushed from newsstand to newsstand, pulling any remaining copies of Focus, that Marcos-allied publication which now carried the opposition’s favorite slogan, chanted and printed alike at lighting rallies and on contraband manifestos, “Marcos Hitler Diktador Tuta”. Our story’s other version has us begin on January, 1970. Students and activists in Manila and the country’s other urban areas were protesting a myriad of issues, from rights civil and human to women and worker. They decried the encroachment of the United States on the Philippines as a colonial influence, the continuing manipulation by a small oligarchy of the country’s political and economic affairs. Tensions rose, and in what is now known as the First Quarter Storm, clashes between protesters and the constabulary began in earnest. At the front lines was a journalist named Jose Maria Flores Lacaba, known simply as Pete. The eldest of six children, Lacaba is Cagayan de Oro-born and Pateros-raised. A fan of local radio, Tagalog komiks, and the weekly Balagtasan, Lacaba’s class consciousness was tempered at an early age as a disadvantaged scholar surrounded by the rich students of Ateneo de Manila—a school he was forced to drop out of when his finances finally gave. “I was just 19 when I started writing for the Free Press, handling culture and the arts,” he recounts to Esquire. It was the only job available to someone without a college degree. The brutal dispersals he witnessed in the skirmishes of January 26 and 30 edged Lacaba ever closer to a critical stance against the regime and the system it perpetuated. A younger brother, Emmanuel, known to friends and family as Eman, would share with the elder Lacaba this political coming of age. “Prometheus Unbound” turned out to be an acrostic, in which the first letters of each line, when read downwards, spelled out a message different from that of the rest of the poem. “In 1971, I began to take an active role in union organizing. When we lost our union’s certification election, the whole Free Press staff resigned en masse.” Lacaba, along with Free Press veterans Nick Joaquin and Gregorio Brillantes, started a new magazine, the Asia Philippines Reader. “We did our best to be balanced, but becoming politicized was unavoidable, especially after the Plaza Miranda incident,” in which a Liberal Party campaign rally was bombed, killing nine and injuring 95 others. 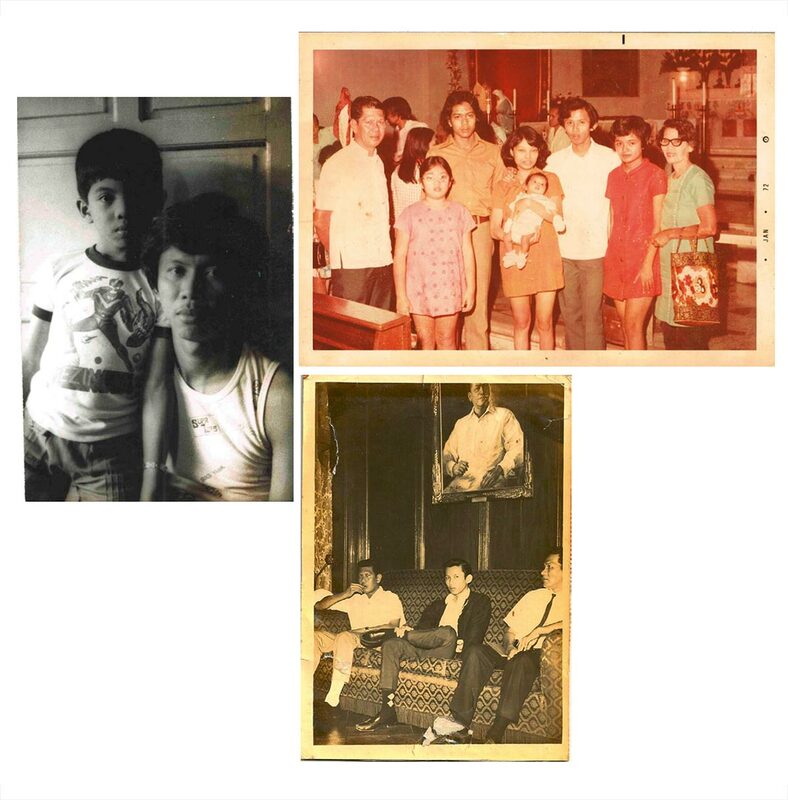 Shortly after martial law was declared, Lacaba heard from relatives that a military unit had been looking for him at their family home in Pateros, a lucky break brought about by outdated intelligence, for Lacaba had since moved to Quezon City. Knowing that he was now a hunted man, Lacaba joined the underground press. “Our publication was called Taliba ng Bayan,” he says. It began as a monthly, mimeographed publication before the staff eventually found a sympathetic printing press. As a wanted man, Lacaba’s movements were limited to the Taliba’s various underground houses—his younger colleagues, mostly members of the College Editors Guild of the Philippines, served as stringers. At length, one of these stringers told Lacaba that The Varsitarian, the student paper of the University of Santo Tomas, was interested in publishing his work, as long as it wasn’t too radical. “I thought about writing an acrostic, as I had written some of those before, for girls,” he laughs. 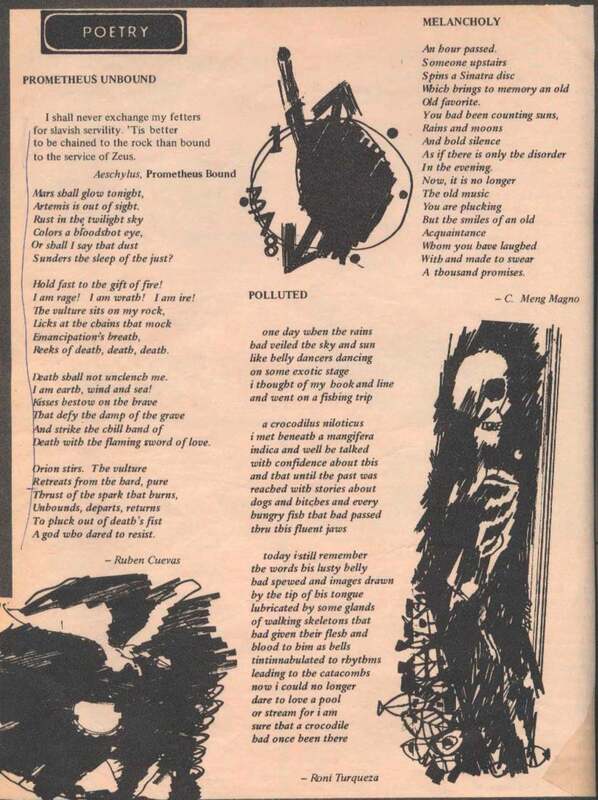 “A lot of anti-government acrostics were being published at the time too, in Tagalog. So I decided to do the same.” Still on the move from one underground house to another, Lacaba composed “Prometheus Unbound”. The poem makes multiple references, primarily the plays of Greek tragedian Aeschylus and English Romantic poet Percy Bysshe Shelley. “I also wanted to refer to the famous painting by [Flemish artist] Peter Paul Rubens, hence my choice of pen name.” Cuevas, on the other hand, was Lacaba’s nod to the Philippine folk hero Bernardo Carpio, himself a titan, cursed by a shaman to be wedged under the mountains of Montalban, whose mere shrug of his mighty shoulders caused the earth to shake, and whose freedom will coincide with the liberation of the Filipino race. “Laro lang,” Lacaba says of the poem’s composition. “The first line is a pun on ‘Martial Law tonight’. And Mars isn’t even a Greek god,” he laughs. Lacaba understood the risks that came with publishing the poem, however. Martial Law, after all, was just a little over a year old, and fear hung heavy in the air like a firearm’s report in the small of dawn. When Lacaba sent the poem to The Varsitarian, he told the stringer to make the acrostic clear to the publication’s editors. “The editors backed out,” Lacaba says. “That’s when I thought to send it to Focus. If memory serves, they were the only government-sanctioned magazine publishing literary works at the time. At nakalusot naman." “The first line is a pun on ‘Martial Law tonight’. And Mars isn’t even a Greek god," Pete Lacaba laughs. In April of 1974, Lacaba was finally captured, and was held at Camp Crame where he was routinely tortured. When his childhood pulmonary tuberculosis recurred, he was confined under heavy guard. He joined many other writers imprisoned by the state in camps all over the country, political captives whose biggest crime was to assume the responsibility of check and balance in a subdued society, who had absolutely no recourse for release while the writ of habeas corpus was suspended. They included Bienvenido Lumbera, Jose Y. Dalisay Jr., Ricardo Lee, Lilia Quindoza, Ed Maranan, Luis Teodoro, and Ninotchka Rosca, among many others. The list is long— and shameful. That same year, Pete was visited by his younger brother, Eman, by then a celebrated poet himself. “Hindi na ako makakadalaw,” Eman said to Pete, who understood at once that his younger brother was about to go underground as well. It was during the meeting with Ramos that Lacaba was asked if he was related to a certain Manuel Lacaba, who was currently missing in Davao. “I told Ramos that there are many Lacabas in Mindanao. Pero alam ko nang si Eman iyon.” Eman was later found with three others in a shallow grave, his dead body bound and bearing signs of both summary execution and post-mortem mistreatment. His face was so disfigured that his mother would not have recognized him if not for his unique cluster of moles. One of Pete’s first acts as a free man, therefore, was to wait for the corpse of his murdered brother. One of Pete’s first acts as a free man, therefore, was to wait for the corpse of his murdered brother. There are a number of ways to end this story as well. One is to recount that Lacaba moved on to write one master-crafted movie after another, most sounding off on social injustice at varying volumes. 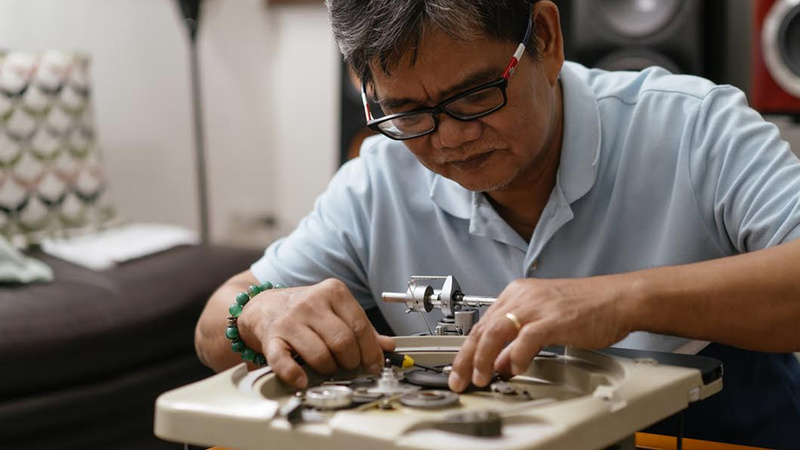 His screenwriting credits include Jaguar, Boatman, and Sister Stella L. Lacaba has written other seminal poems, as well, such as the seriously droll “Ang Pagkain ng Paksiw na Ayungin,” which walks the reader through a serving of sour broth fish. Lacaba finally admitted to having written “Prometheus Unbound”, but well after Marcos was overthrown and Corazon Aquino took over. In that new, just, and free space, celebrated globally as the triumph of democratic will over ruthless suppression, Lacaba teamed with the formidable Lino Brocka to make Orapronobis. It is an emotional cauldron of a film, depicting a post-Marcos life in which change is slow to come for those on the fringes of Philippine society. Orapronobis was promptly censored. It was never commercially screened while Aquino was president. And Lacaba will never write another English poem. Another way to end this story is to note that “Prometheus Unbound” is one of the earliest, and in the context of legal media, among the most resounding, psychological defeats ever handed to Ferdinand Marcos and his regime under Martial Law. Ruben Cuevas/Pete Lacaba and “Prometheus Unbound” prove that the dictator is fallible, his goons myopic, their strength and balance wanting on the uneven ground upon which a propaganda war is always waged. “Prometheus Unbound” is a proud part of a century-old tradition of Philippine protest writing, which critics call the literature of circumvention. The practice goes back to the Propaganda Movement during the latter part of Spanish rule in the late 19th century, through the American Commonwealth era, and directly leads to the late Sixties and the early Seventies with the rise of activism, up to the present. It is a tradition of wit and irony, allusion and allegory, satire and spoof: the go-to weapons in the arsenal of the unarmed. “Prometheus Unbound” is one of the earliest, and in the context of legal media, among the most resounding, psychological defeats ever handed to Ferdinand Marcos and his regime under Martial Law. “Prometheus Unbound” joins Bonifacio’s “Pag-ibig sa Tinubuang Lupa” and Mabini’s “Perlas Kong Mahal,” Claro M. Recto’s scorching nationalist polemics. The poem is in great recent company, too, from Linda Ty Casper’s novel “Wings of Stone”, which recounts the events that follow Ninoy Aquino’s Assassination; Jose Dalisay’s “Killing Time in a Warm Place”, a fictionalized account of activism during the Martial Law years; to F. Sionil Jose’s “Viajero”, an allegory of a society in crisis. Great company that forms one unbroken line, from Jess Santiago in 1970s, Bobby Balingit of The Wuds in 1990s, to the more recent firebrands of Einstein Chakras. The list is long, and, in the vibrant colloquial in which protest literature is spoken, agit. This article was originally published in the September 2015 issue of Esquire Philippines. Minor edits have been made by the Esquiremag.ph editors.